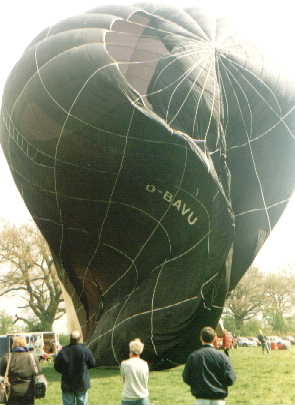 Notes: This was the inside envelope of a solar balloon. 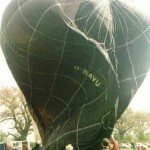 In June 1974, it performed the first flight of a solar balloon at Cirencester. On 22nd August 1981 it completed the first solar crossing of the English Channel. A second envelope with the S/n 88 was the outside envelope and was transparent.